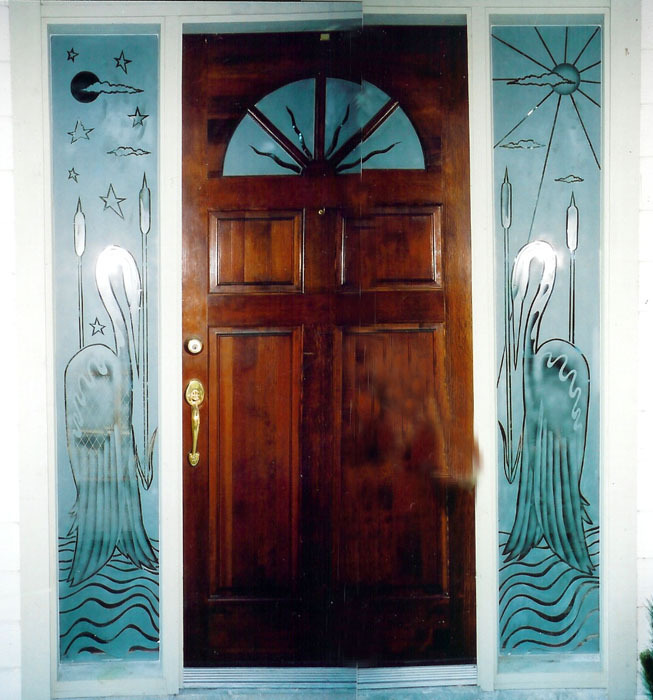 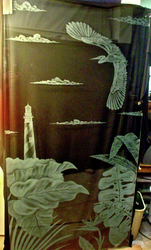 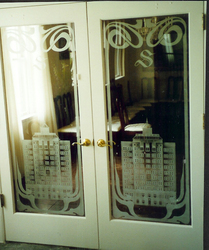 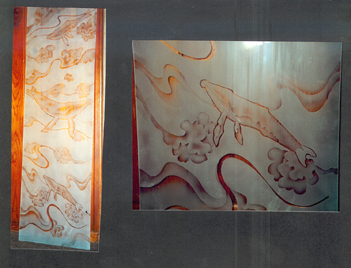 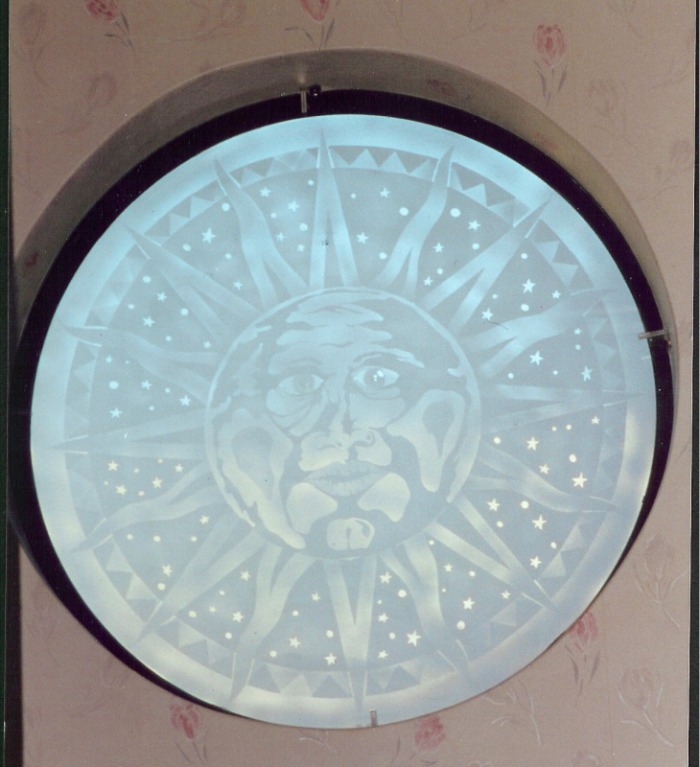 Surface etched panels including shower doors, office windows and more. 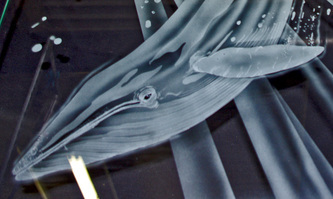 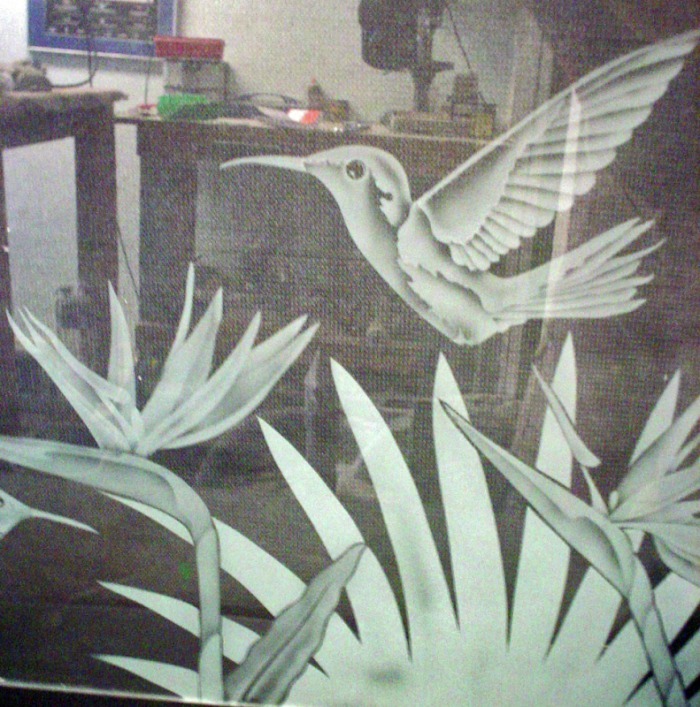 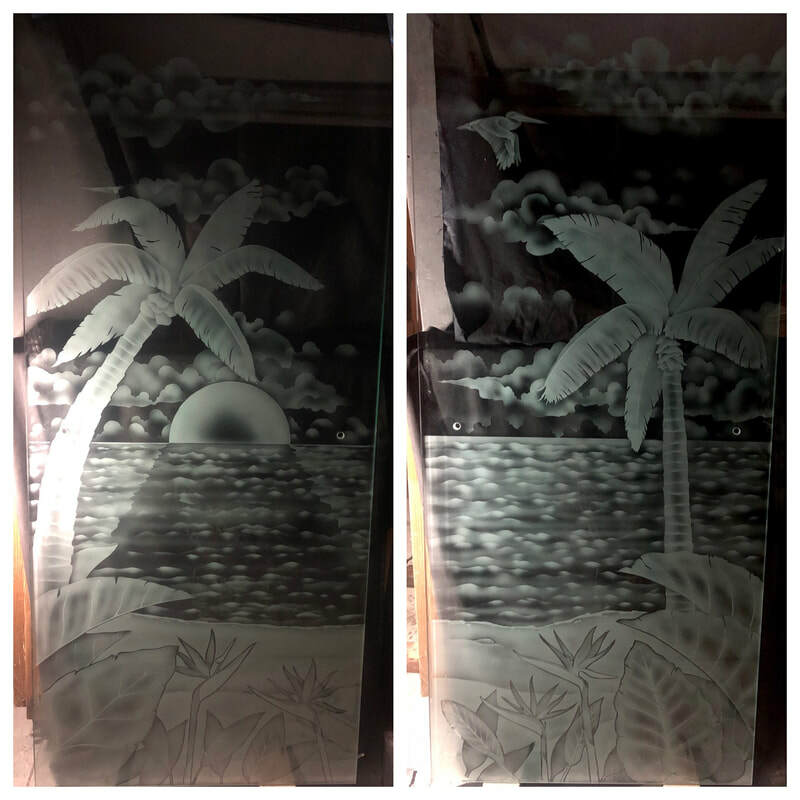 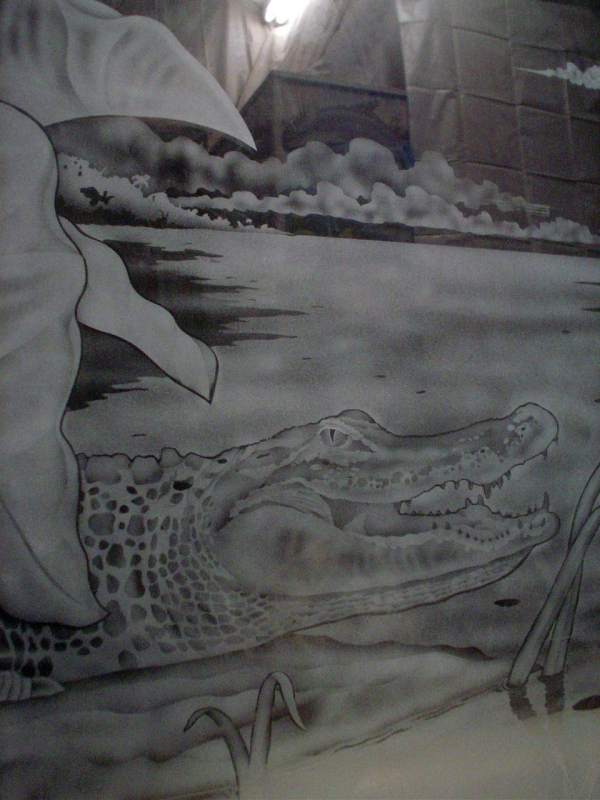 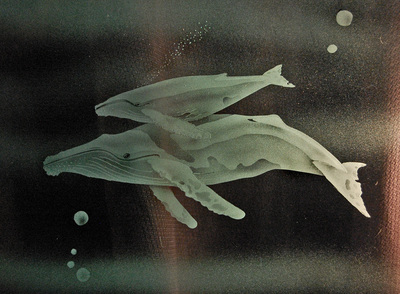 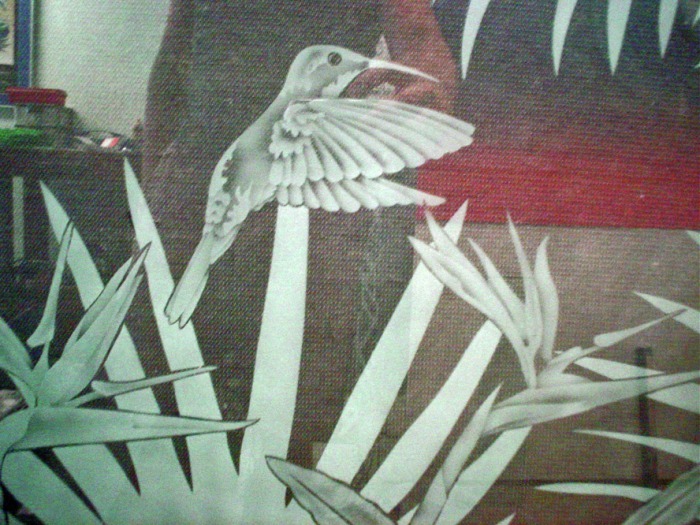 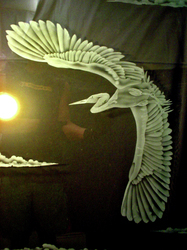 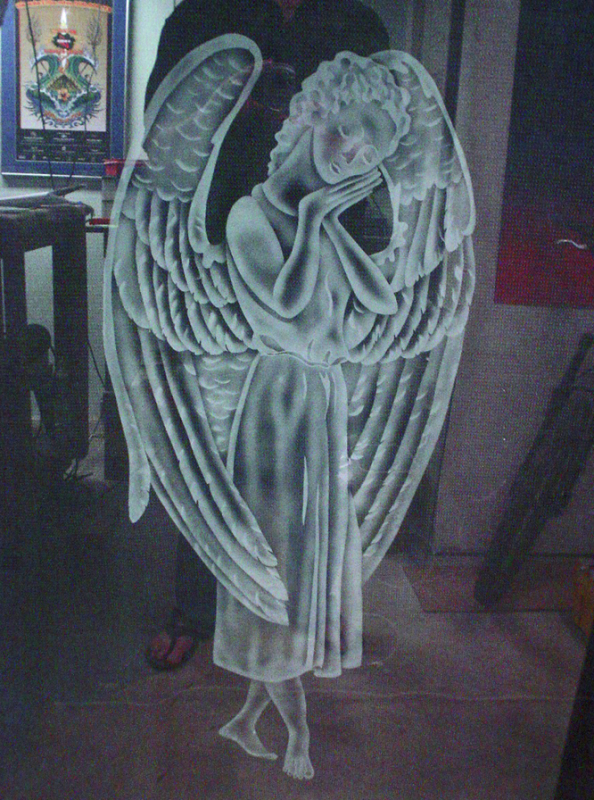 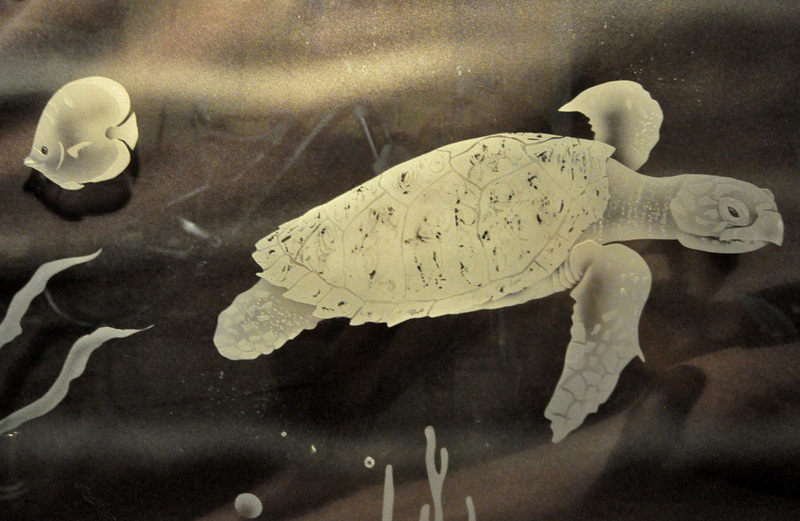 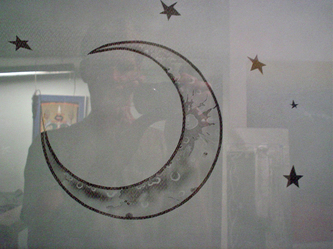 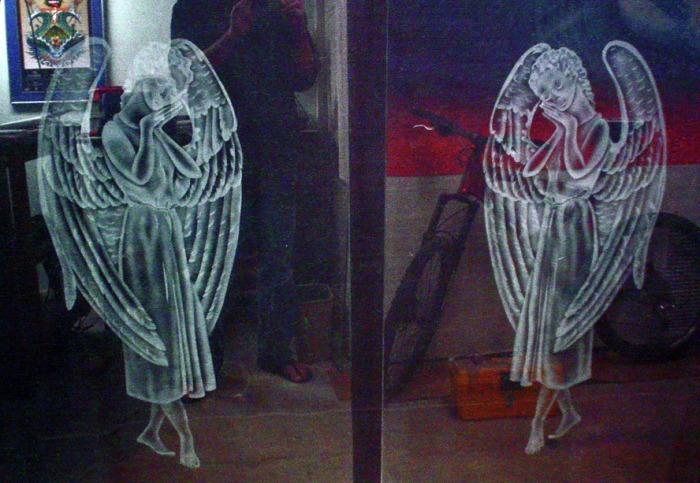 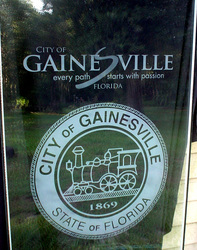 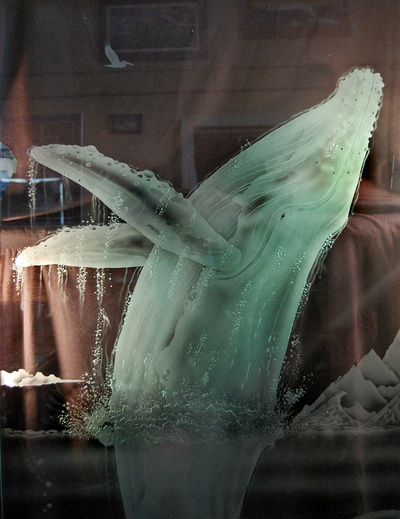 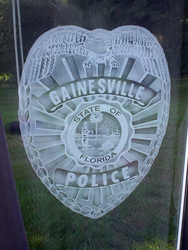 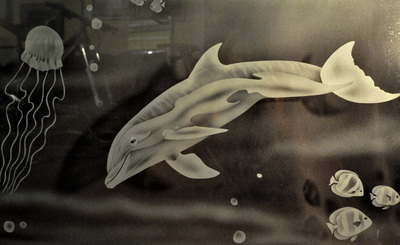 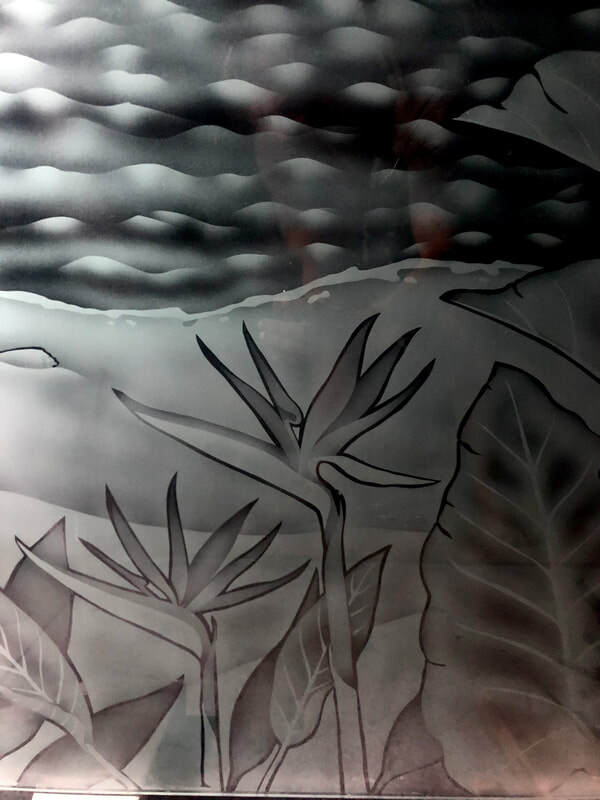 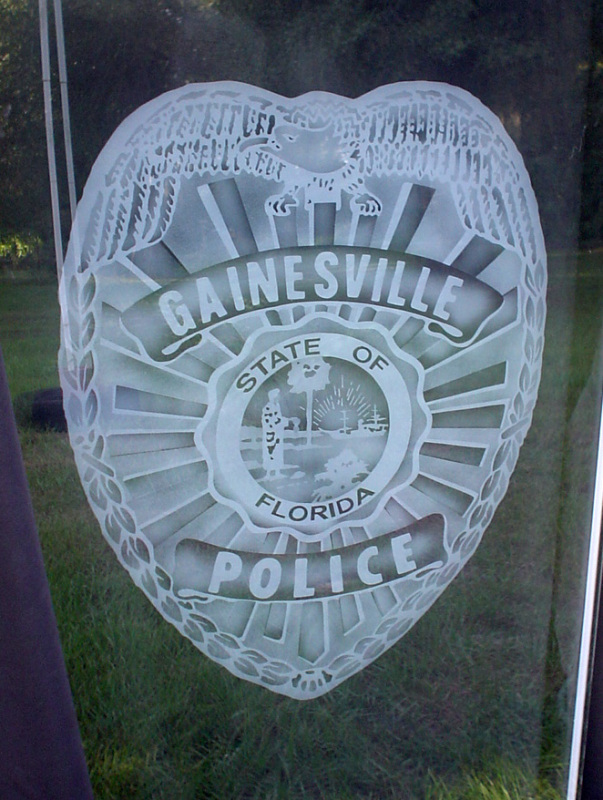 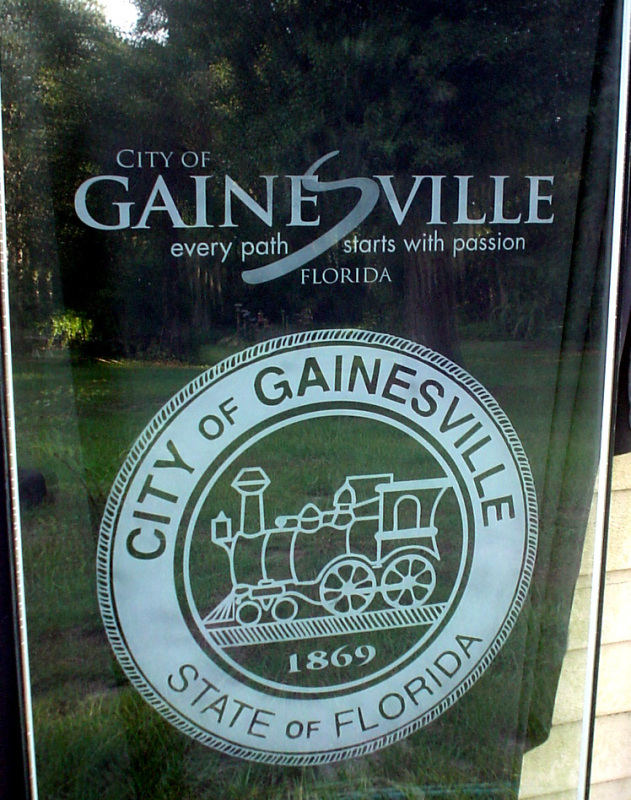 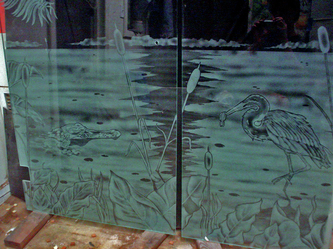 Surface etching is commonly used on tempered glass and images are achieved with subtle tones and fades. 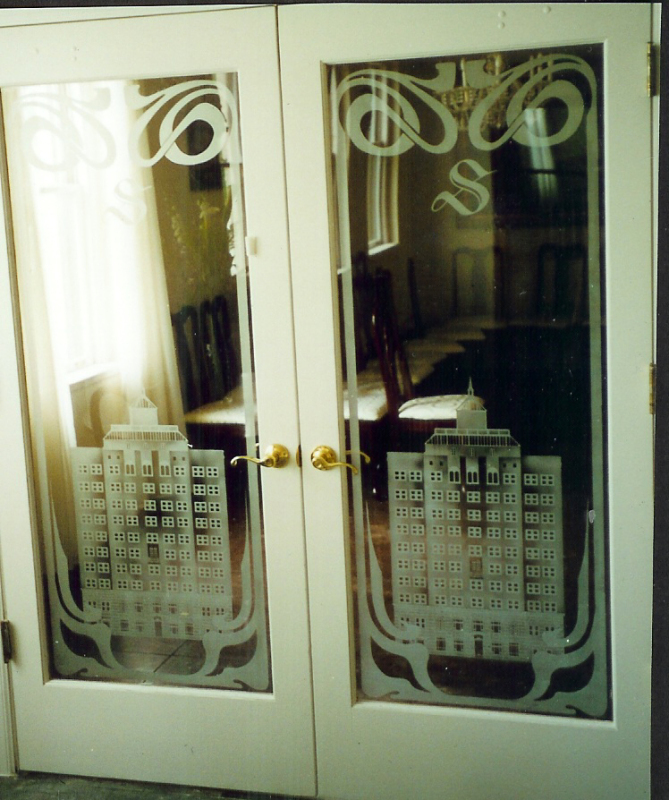 Many panels to this---actually 3 bathrooms worth. 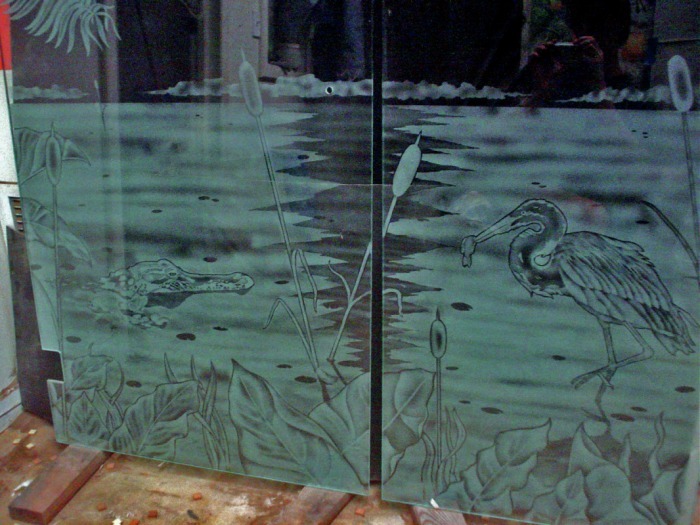 These panels were 10' tall. 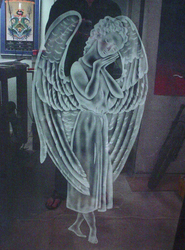 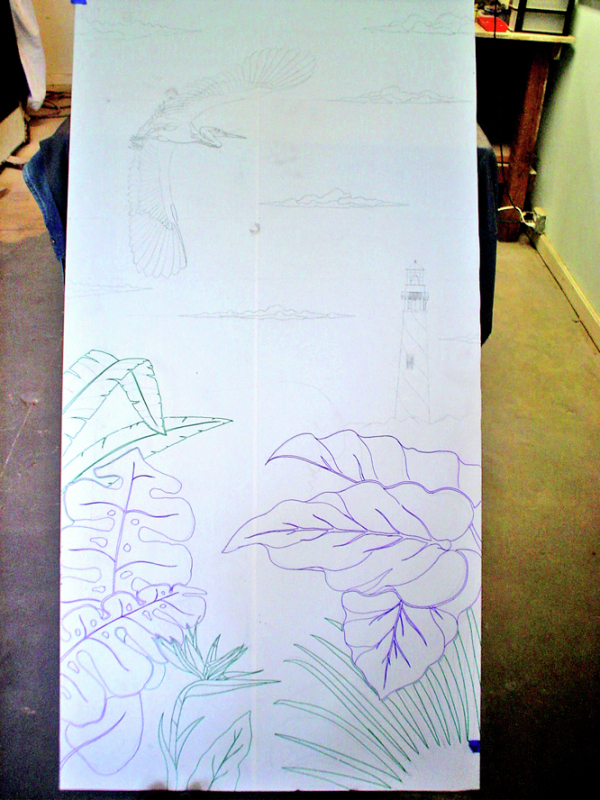 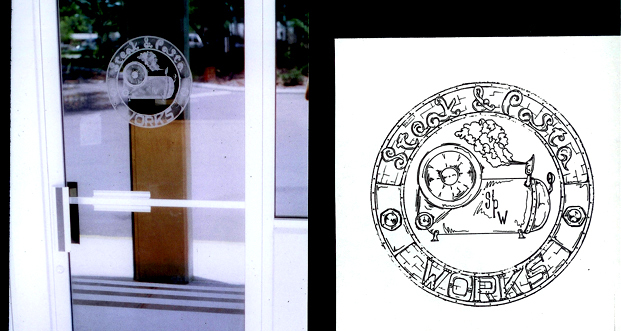 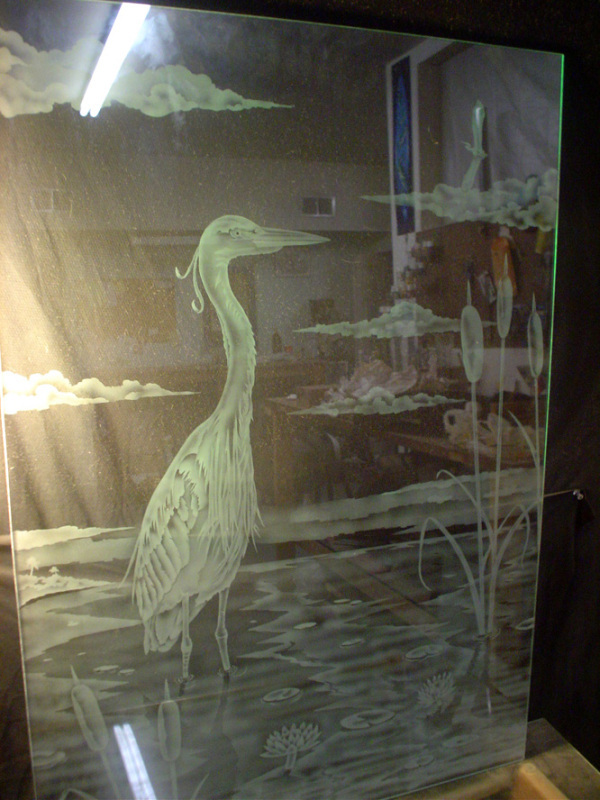 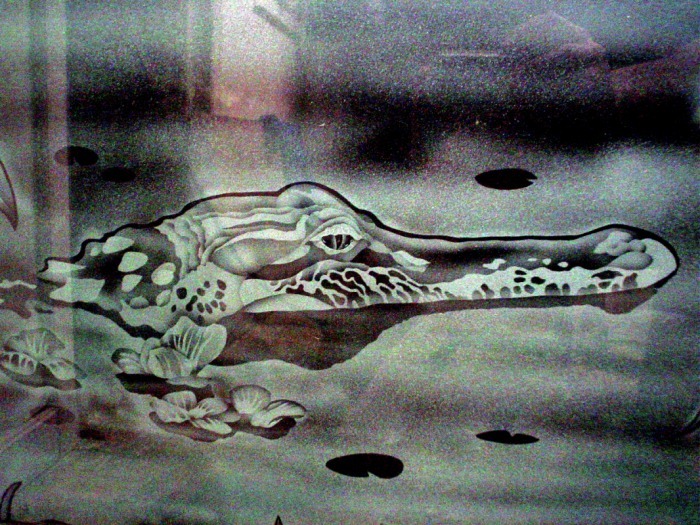 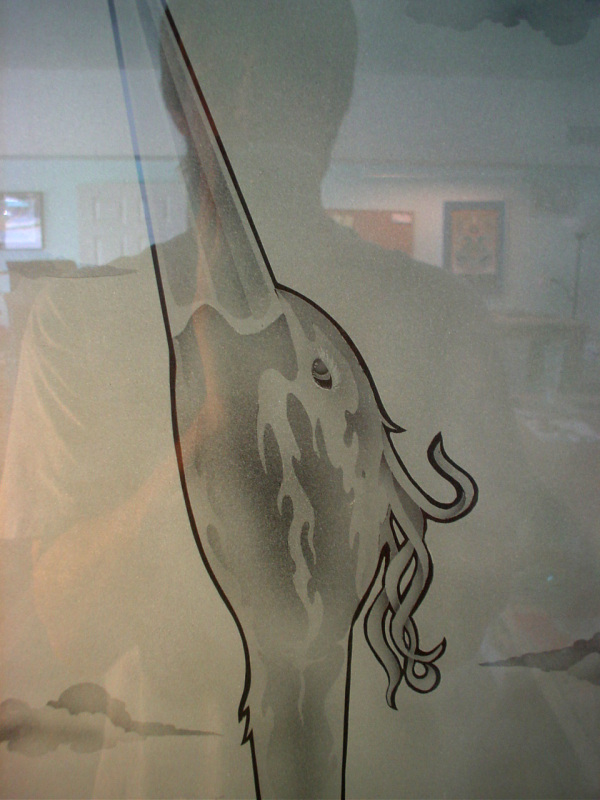 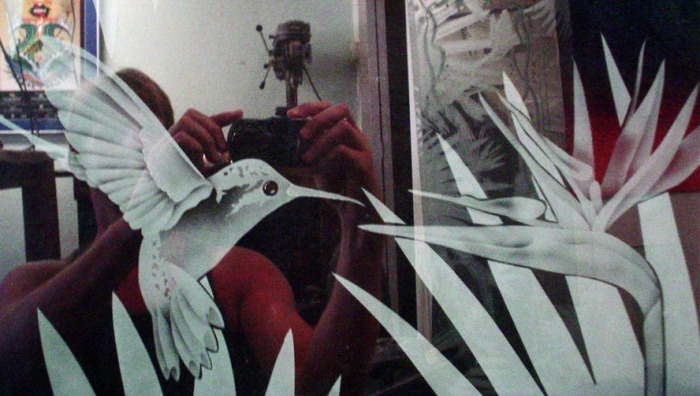 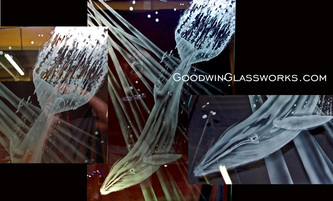 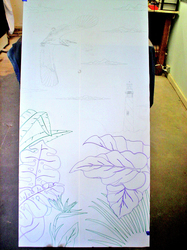 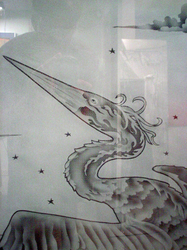 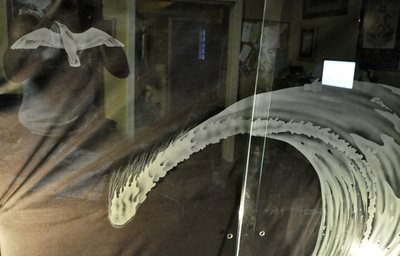 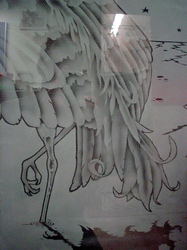 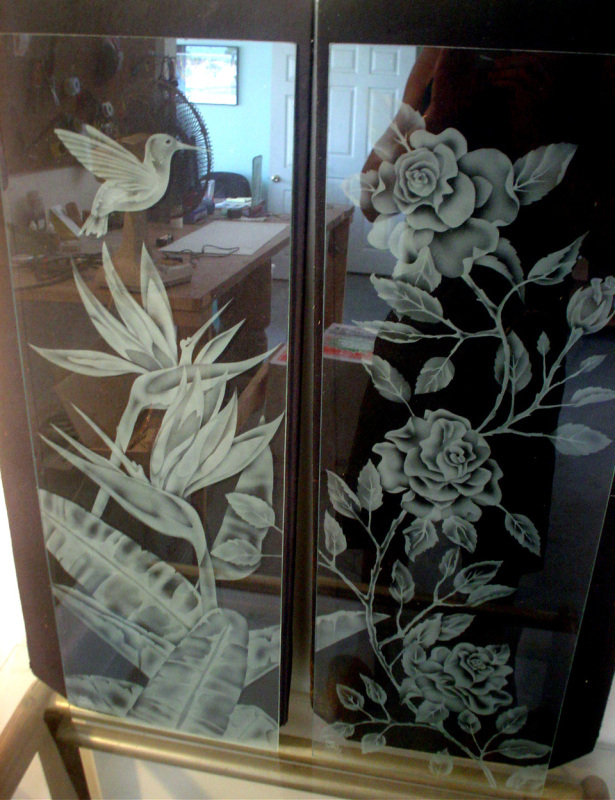 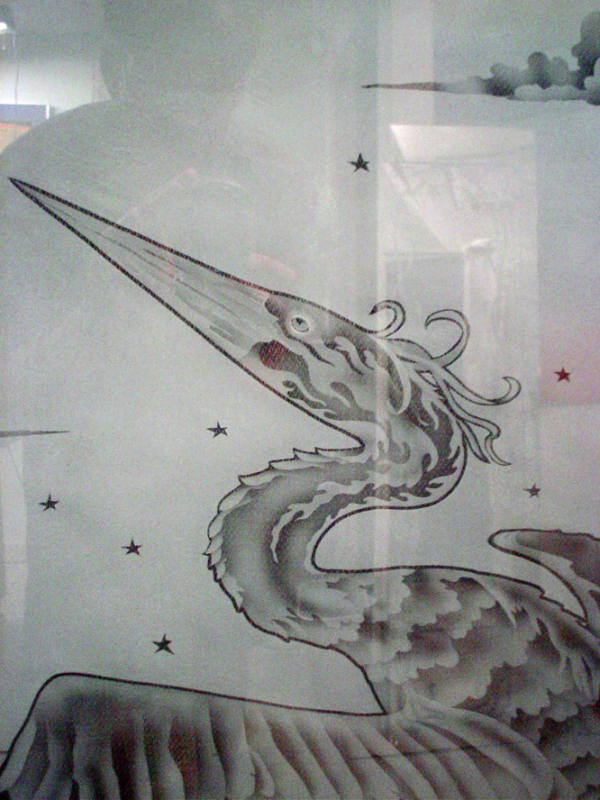 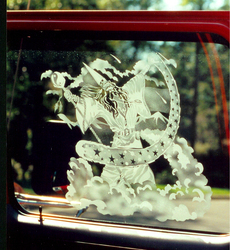 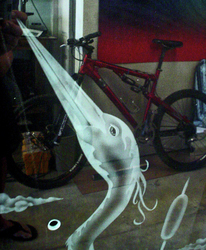 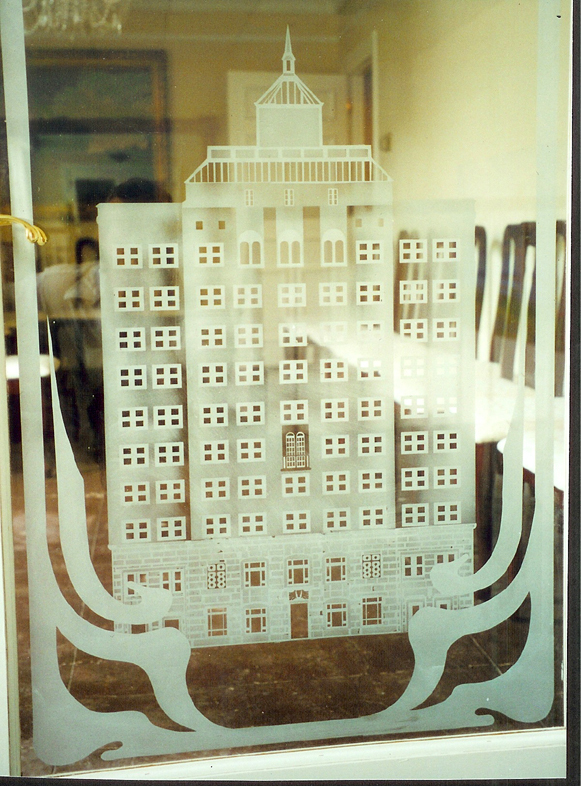 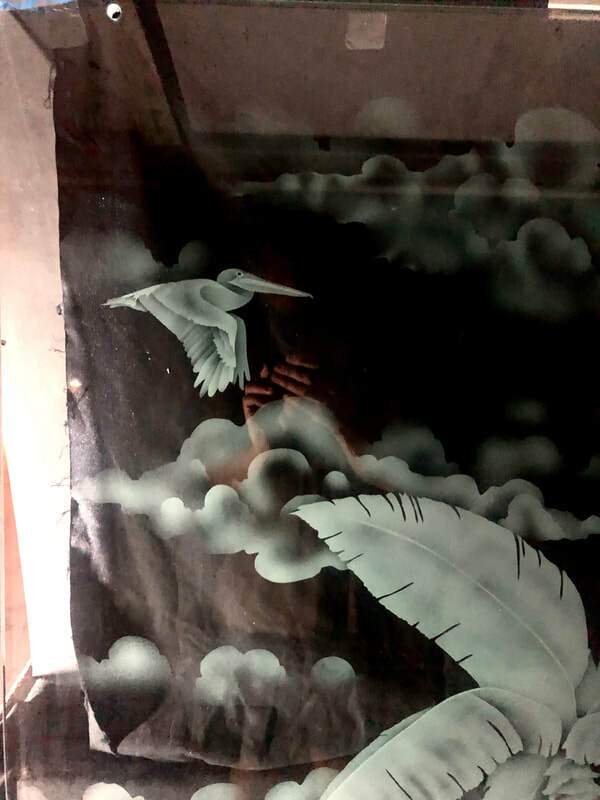 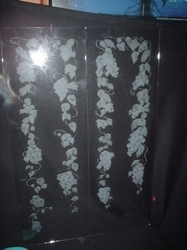 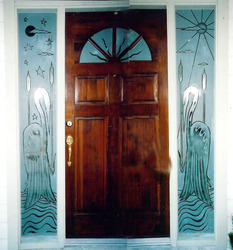 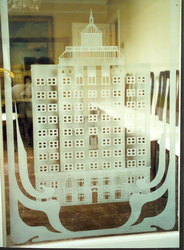 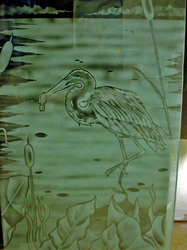 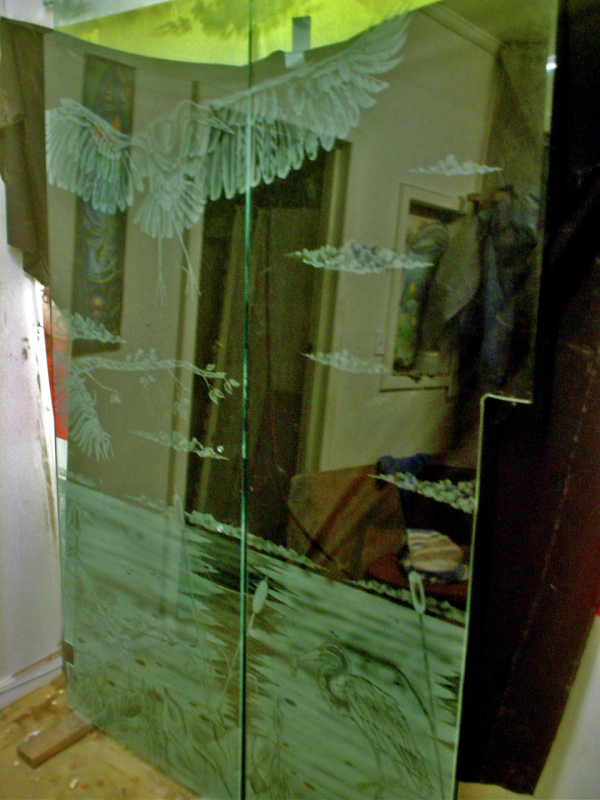 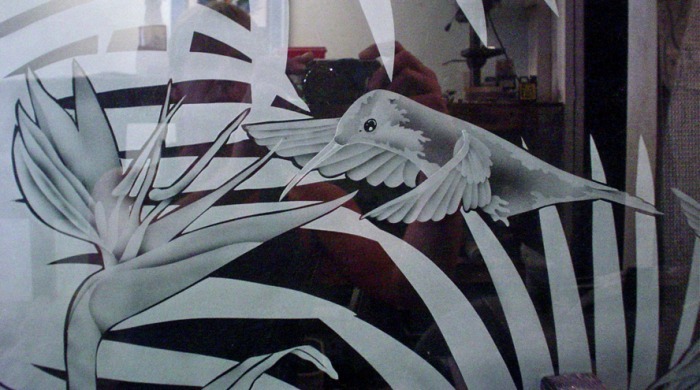 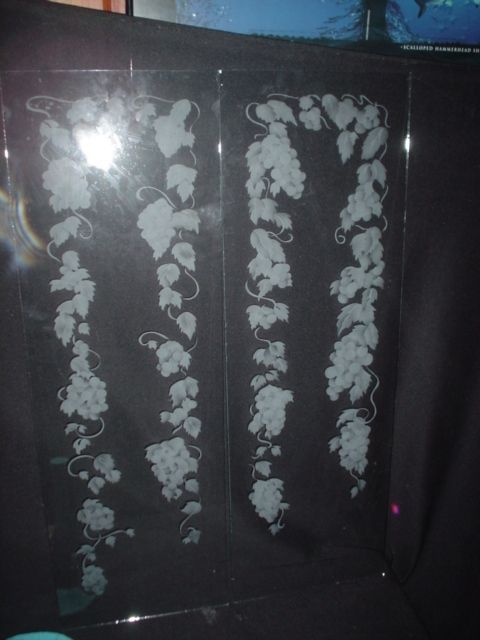 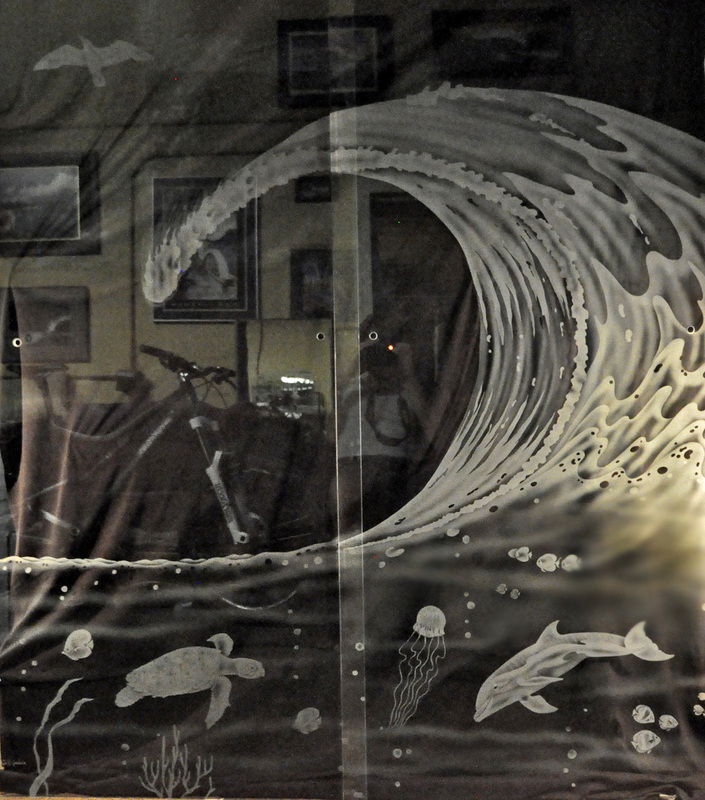 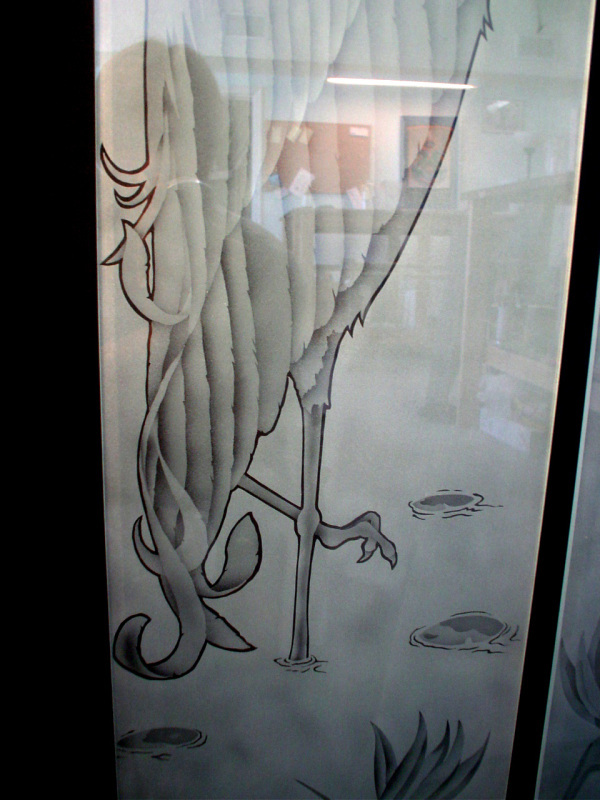 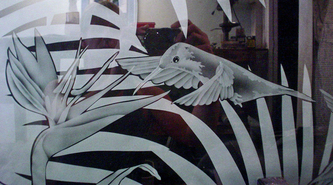 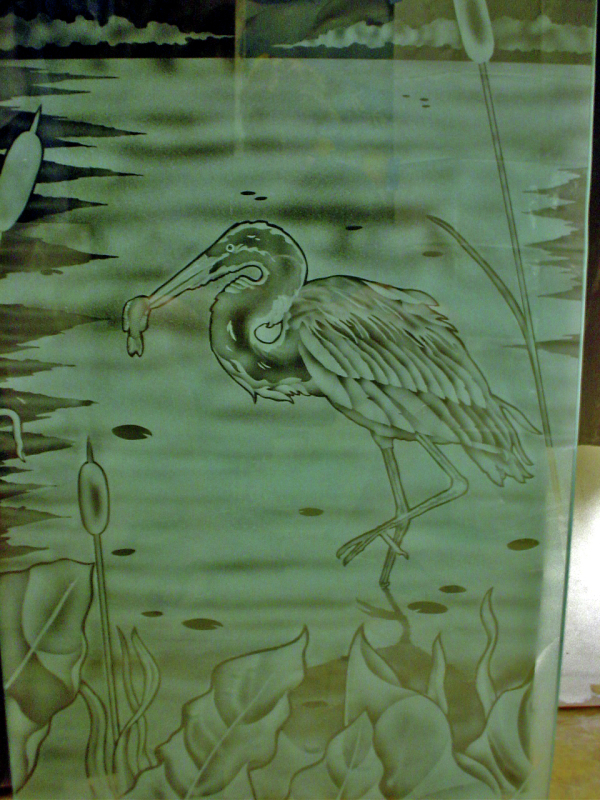 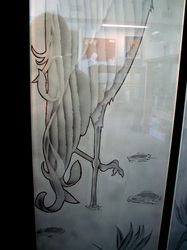 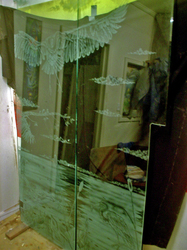 This shows how the piece begins with a hand drawn design on the glass. 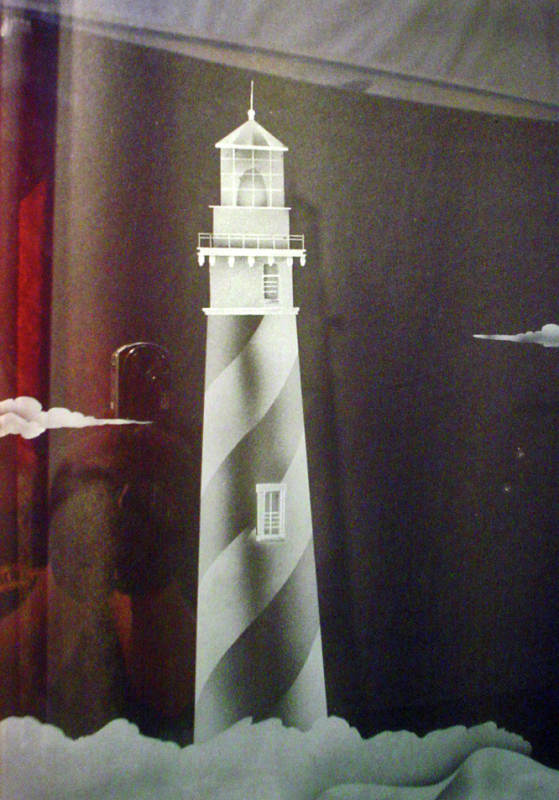 Distant lighthouse with flying heron approach. 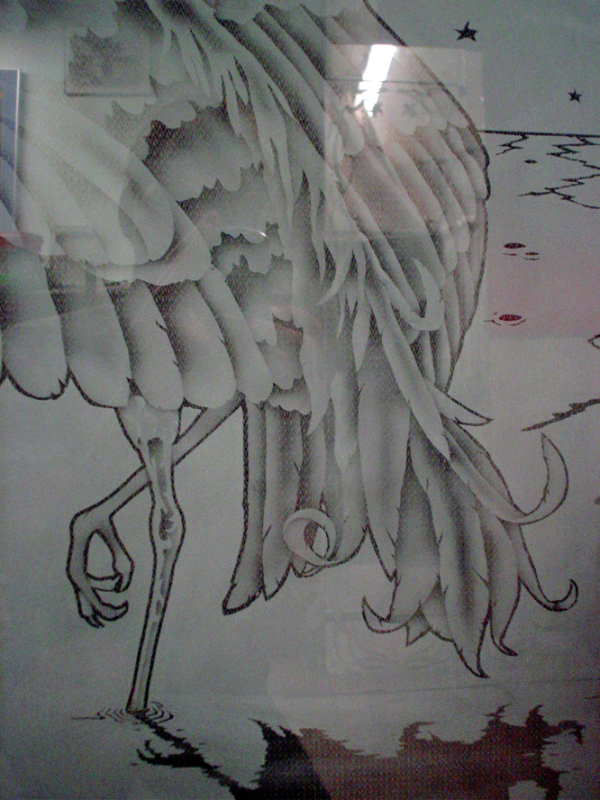 More details than what is seen. Design for the president of the N.E. 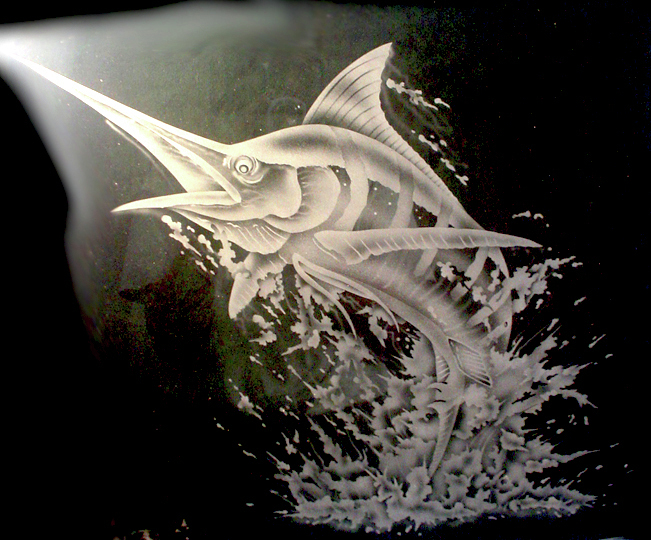 Marlin Assoc. 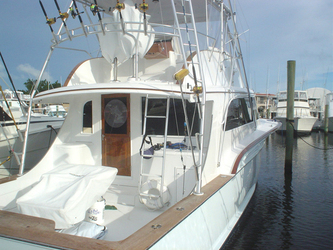 boat. Here are a few select pieces with the popular(especially in FL.) 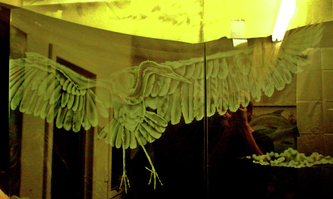 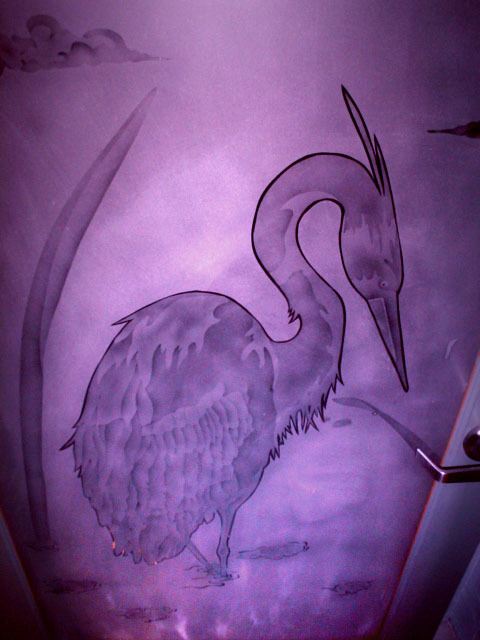 heron. 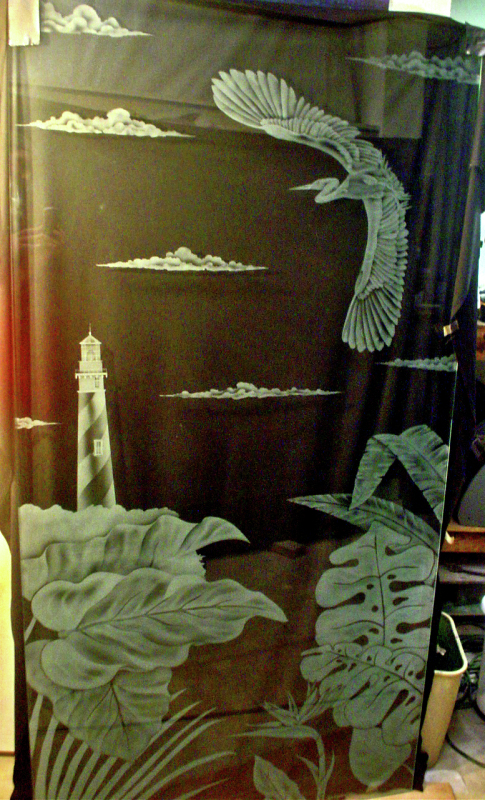 Shower door, sidelites and window panel. 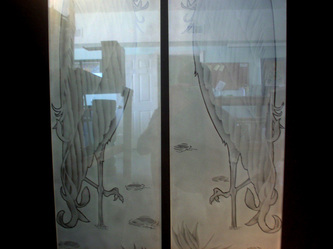 2, 1/4" panels combined about 10" long.